The Affordable Care Act: A Hit or Miss? The Affordable Care Act deadline has come and gone. Now what? If you are one of those citizens who didn't get your act together to sign up for an insurance plan by March 31st, the your wallet will suffer the consequences (ie.penalties). There are, however, some exceptions to this deadline that you can see here. 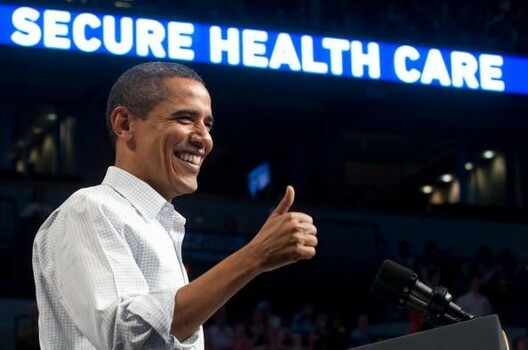 With a initial goal of 7 million new enrollees, President Obama declared in the Rose Garden that 7.1 million Americans had signed up for new health plans through federal exchanges. "This law is doing what it's supposed to do. It's working. It's helping people from coast to coast." Despite numerous technical errors and a messy rollout, President Obama defended his bill saying it has already improved health care for millions of Americans. As of Monday, 80% to 90% have already paid their premiums. All these numbers are encouraging to ACA supporters particularly considering its disasterous launch which led the Congressional Budget Office to predict only 6 million people would enroll. Many analysts are saying the young population helped the ACA in its late surge across the finish line. They point to President Obama's appearances on "Between Two Ferns" and LeBron James' endorsement video as two effective campaign moments. Regardless of this current success, the coming months ahead are sure to be bumpy. There are still many unanswered questions about the future of the ACA.